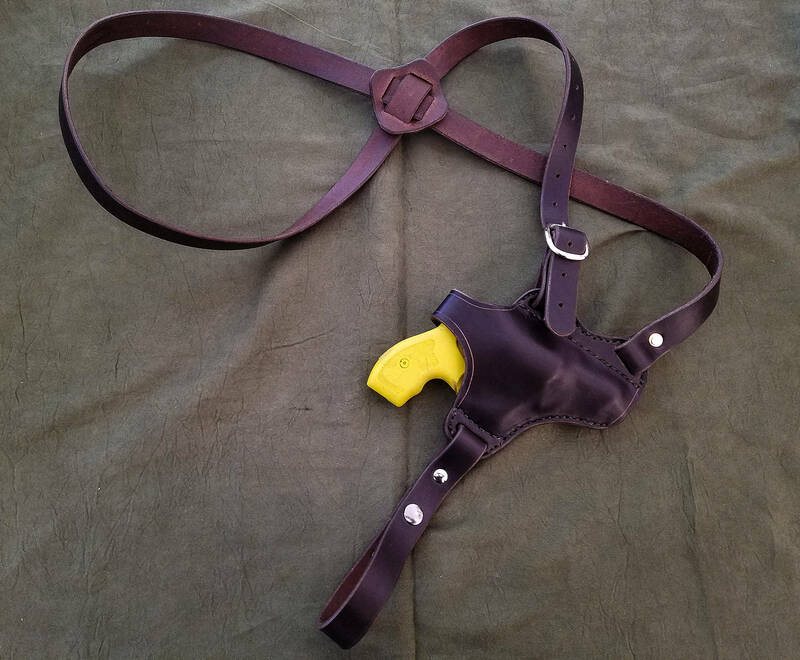 This is a handmade leather shoulder holster for a selection of different firearms. 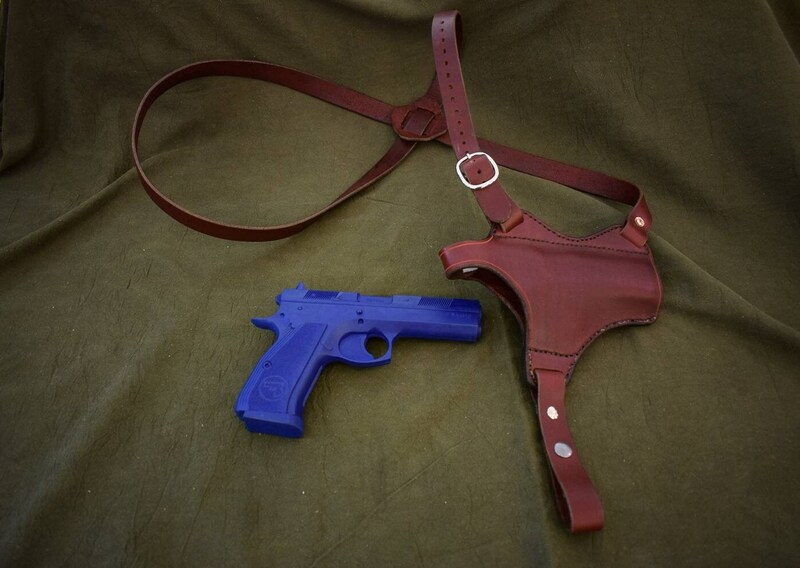 For right now the options available are all we have in-shop for molding holsters, if you do not see your gun in the list, feel free to message me and I will look into making your model available. 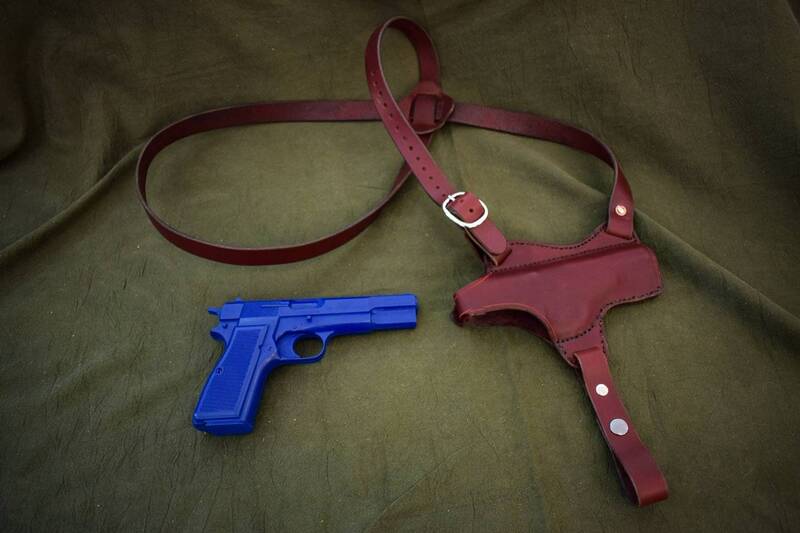 The holster is wet molded to the gun, and has a strap that snaps over the back of the gun to keep it secure. 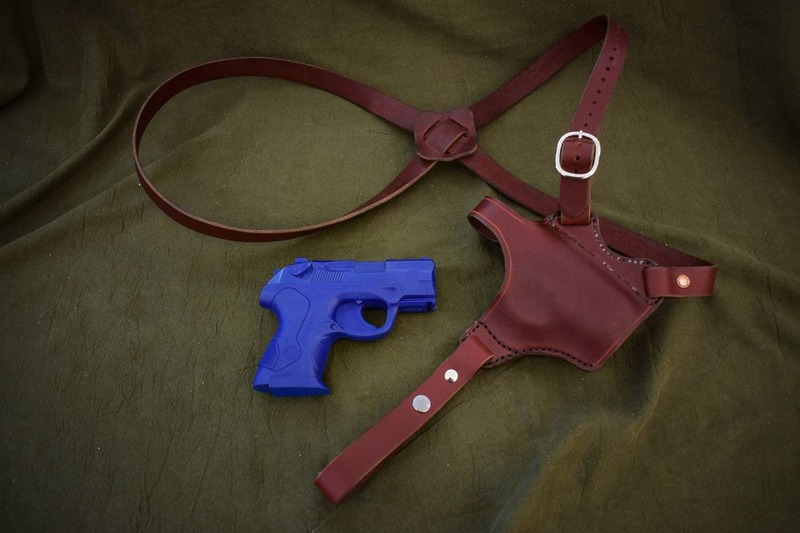 The holster is made of 8-10 ounce latigo cowhide, and is adjustable via the strap and buckle connected to the front portion of the holster. 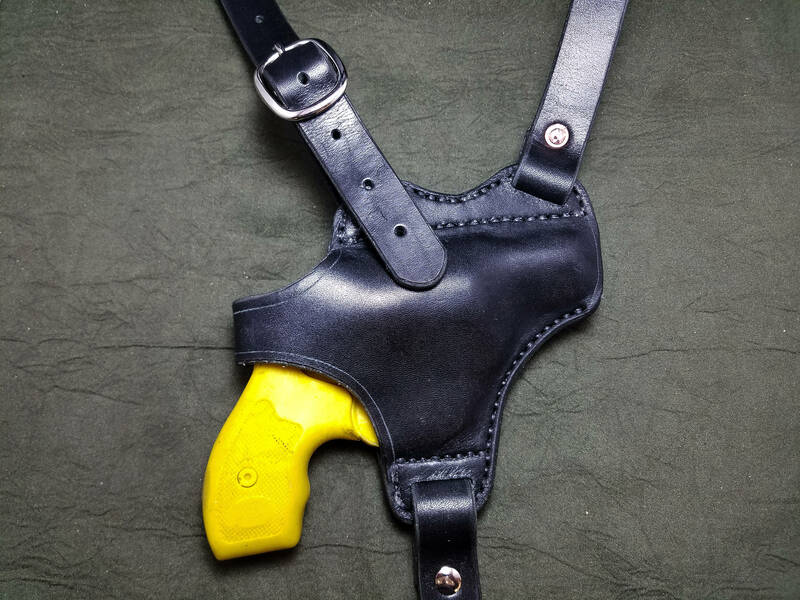 The holster is designed to be minimalist as possible to aid in concealment, but is still very comfortable. 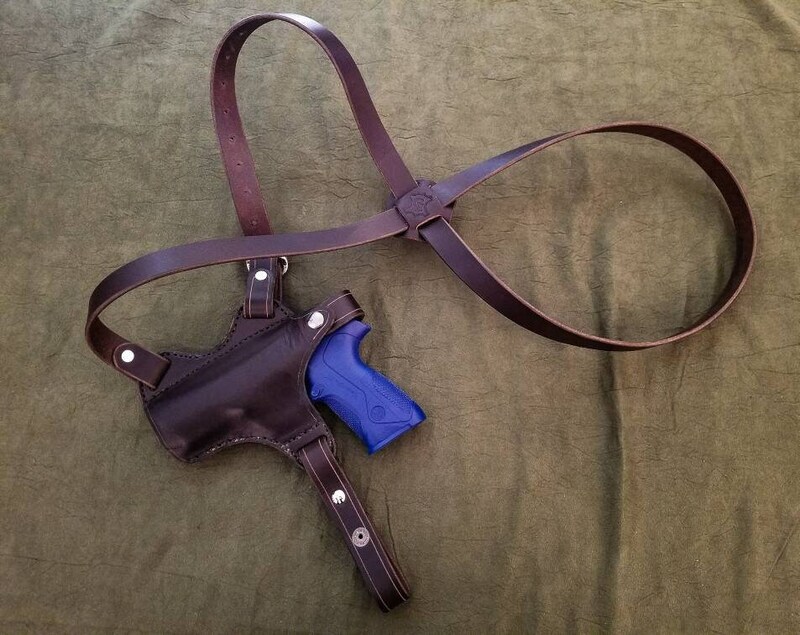 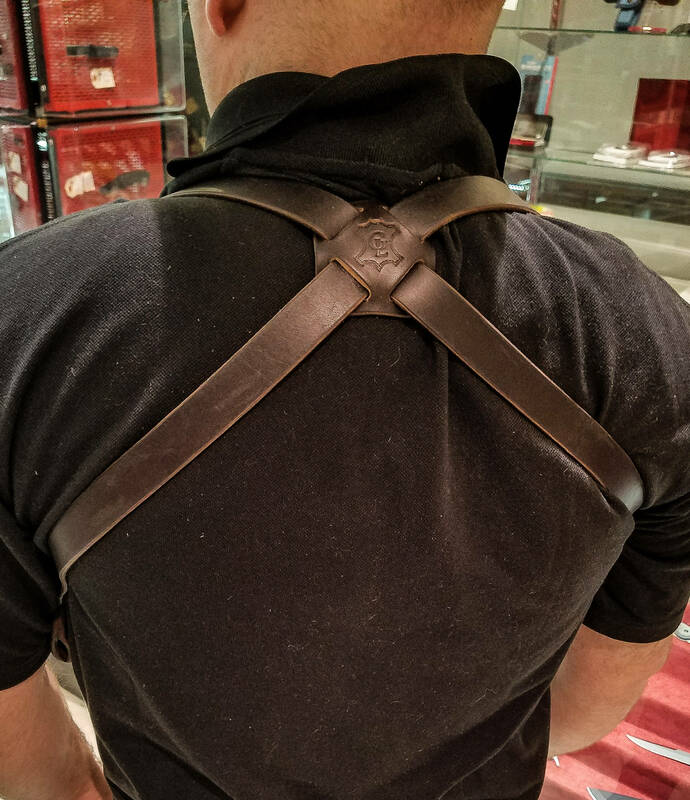 The holster differs from my other shoulder holster design by having a single strap that loops around the opposite shoulder and connects to a single buckle on the holster, keeping it very secure. 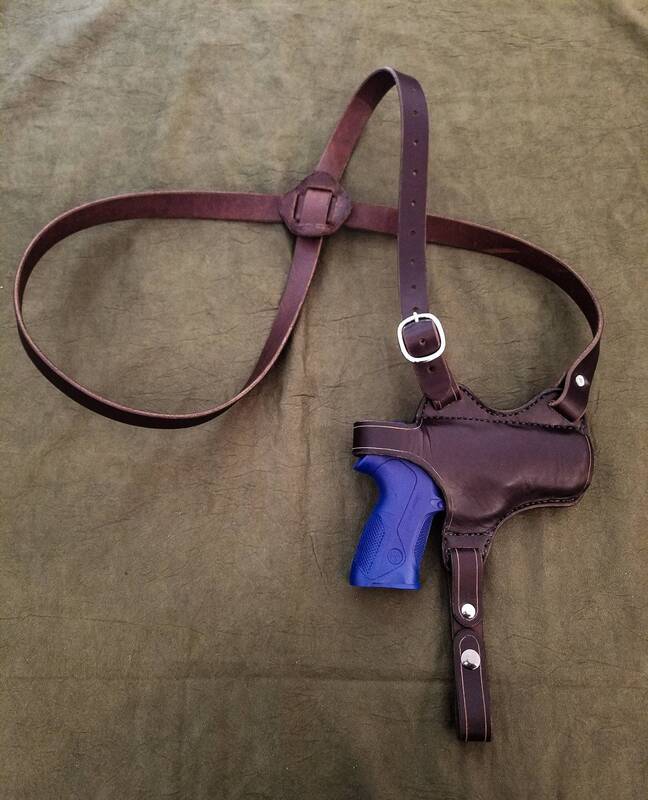 This model of shoulder holster does not feature a double magpouch. 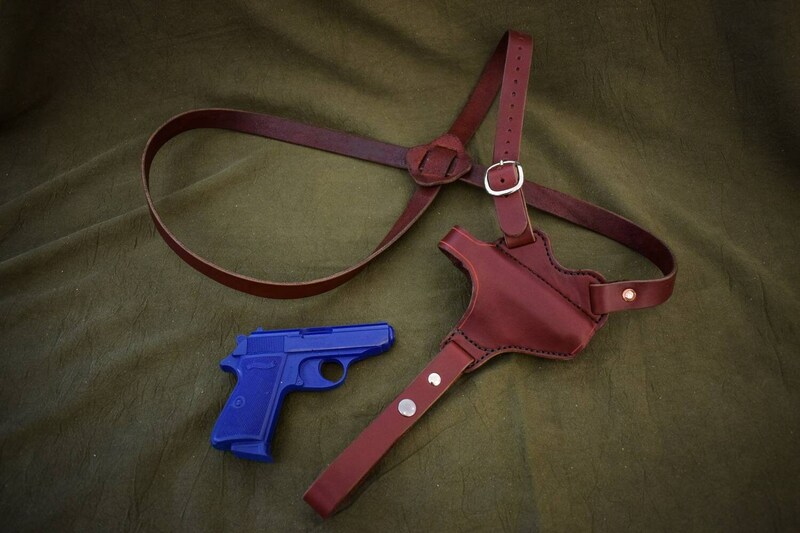 The holster features a removable belt strap that aids in keeping the holster steady if you so wish. 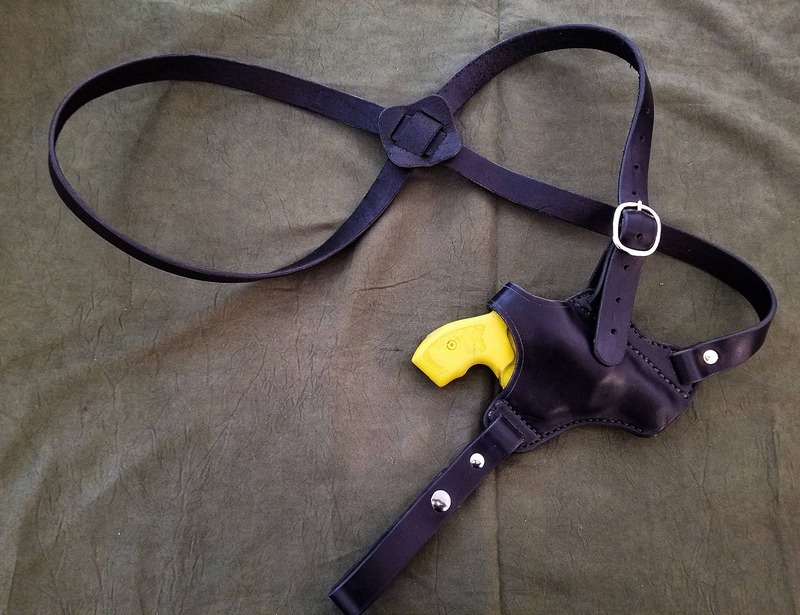 The standard setup for these will be Right Handed, If you want Left Handed, let me know in the comments and I'll set it up for you at no extra charge.